From The Appalachian Voice: West Virginia communities are still dealing with problems related to mountaintop removal coal mining. Toxic coal slurry impoundments, increased blasting and diminished water quality are among the challenges facing such communities at risk. 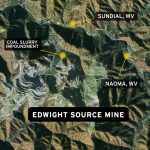 West Virginia communities, including Naoma and Sundial are still dealing with problems related to mountaintop removal coal mining. Toxic coal slurry impoundments, increased blasting and diminished water quality are among the challenges facing such communities at risk. 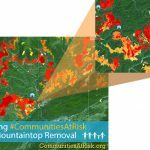 Local communities and an endangered bat species are threatened by two proposed mountaintop removal coal mines in West Virginia. 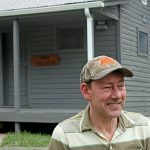 When mountaintop removal threatened to surround the tiny town of Inman, Va., residents pushed back.